CORRECTION – see comments: Due to my mediocre Spanish I earlier stated mistakenly that the mayor of Acomayo granted mining concessions, it was in fact the government, and local authorities are protesting the developments. My apologies to the mayor of Acomayo. I just read here that the Peruvian government has granted significant concessions in the Acomayo area to the mining industry without proper consultations with the people of Acomayo. Sarcasm aside, I once read a column in “El Comercio” that said “Peru is a poor country because Peruvians act like poor people.” Peruvian authorities are typically eager to sell the country’s natural resources out for what they believe is a big sum of money. However, if the financial crisis proves anything, it’s that money is just funny printed paper. You can’t eat it, dance with it or teach it to sit and wag its tail. Now mining is a necessary and honorable industry. Without it we would not have roads, infrastructure, hospitals, etc. But if Peru wants to improve its economy beyond the business districts of Lima, business and political leaders need to focus on applying the country’s fantastic human and natural resources to improve the quality of life for all Peruvians, instead of just looking for big payments of foreign cash. I'll have my river without lead, please. NB: I didn’t keep the column I referred to above, it was printed in El Comercio around the signing of the Hunt Oil project. If anyone happens to come across it, please let me know. This entry was tagged Accha, Acomayo, mineria Peru, mining Peru, proteccion del medio ambiente Peru. Bookmark the permalink. Just a correction, it is not the major who gave the concessions, it was the goverment. He is protesting together with the other local officials. Sadly, I partially agree with the El Comercio quote. Fully agree on the money though. 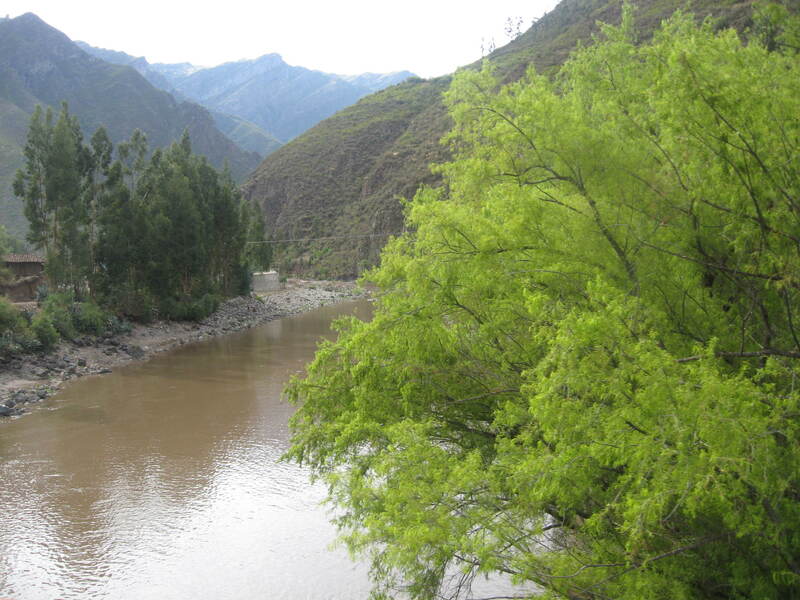 It’s too bad Peru is selling off its natural resources to foreigners once again. They did this during the Guano boom. S. Korea owns half of Peru-Petro tech now. The Chinese are reported to have won the concessions to build and develop the Peruvian highway infrastructure. Chile dominates the retail market and will soon dominate the energy market. Spain has telecommunications with Mexico coming in a close second. The list goes on. It’s like the country has a big “FOR SALE” sign hanging around its neck. I understand the economy is global and foreign investment is part of that, but I believe the business and political leadership is really missing out on development within Peru.